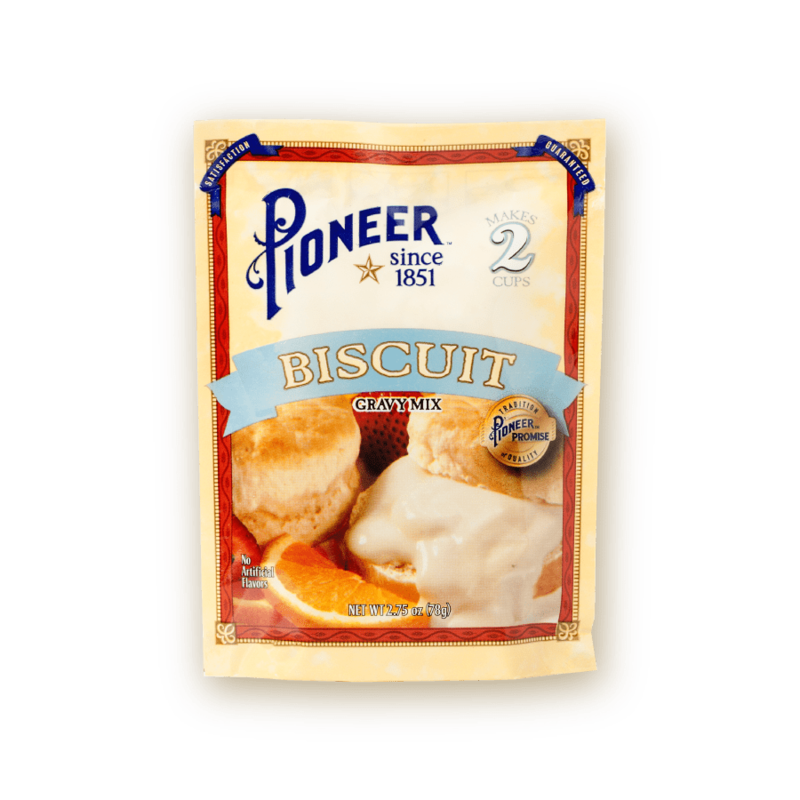 One taste of Pioneer Biscuit Gravy Mix and you’ll understand why we’ve been a favorite of professional and at home chefs since 1851. This rich and flavorful gravy pairs deliciously with a fresh batch of homemade biscuits. Whip up a package of Biscuit Gravy and enjoy a no-fuss, memorable comfort food staple that will keep friends and family coming back for more. 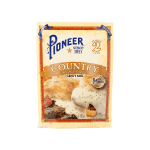 BLEND Biscuit Gravy Mix with ½ cup cool water. STIR vigorously with a fork or whisk until thickened. Remove from heat. 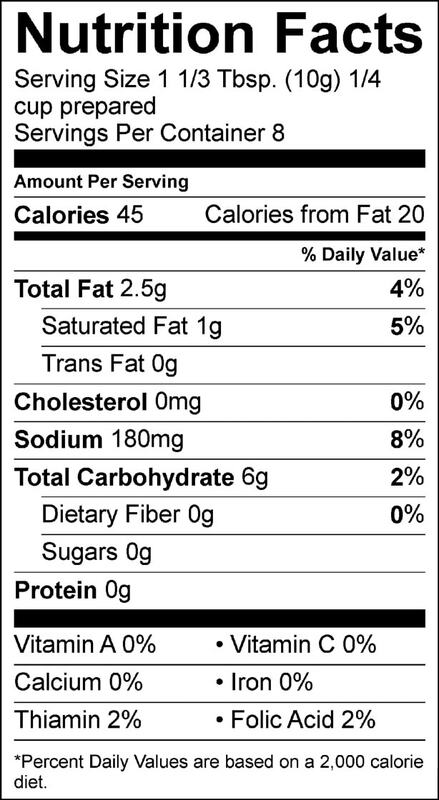 NONFAT MILK, NATURAL FLAVOR, WHEY PROTEIN CONCENTRATE, SODIUM CASEINATE, MONO & DIGLYCERIDES, SODIUM CITRATE, CARRAGEENAN.